Originality for its own sake is scarcely better than unimaginative adherence to traditions. Popularity is not universally indicative of quality, but traditions are rarely devoid of some degree of celebration of the exceptional. Newly-minted words with nothing to say merely clutter languages that are already ludicrously verbose, widening the chasm between thought and expression in ways that further complicate the critical act of communication. As a physical manifestation of the most honest aspects of humanity, Art must communicate necessary truths too uncomfortable for everyday discourse and must do so in ways that demand attention and action. For music, it is not enough to spin a beguiling melody or beat out a distracting rhythm. Whether old or new, the sounds must forge connections among people—connections that engender harmonious resolutions for life’s chaotic cacophonies. There are no formulæ that reliably concoct success for a composer of what is now identified as “serious” music. Few composers in the recent history of Classical Music are likely to have been spared enduring the well-meaning dictate that artistic fulfillment depends upon originality, but originality in music is a misleading notion. All that has been achieved by musicians since the inception of composing in written form notwithstanding, the available tonal spectra are finite. Whether music makes use of quarter tones, tone rows, counterpoint, scordatura, or any of the thousands of effects that fill musicological glossaries, the basic structural tenets are unchanging. Success as a composer begins with recognizing that originality does not demand abandonment of the time-tested fundaments of music. That Johannes Brahms was one of the most powerful instigators of musical evolution is indisputable, but which bold innovation in music does one attribute solely to Brahms’s invention? Brahms’s genius was not in discarding established methods and fabricating new ones: he altered the course of music’s cyclical metamorphoses by perfecting the forms he inherited from past masters and reshaping them to realize his own designs. 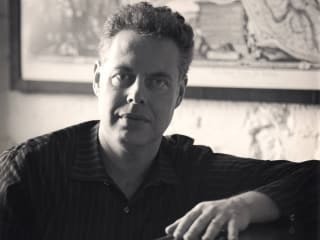 As a reformer looking to both the past and the future, Brooklyn-born composer Harold Meltzer is among Brahms’s most gifted Twenty-First-Century heirs. The pieces on this expertly-produced Open G Records disc ask the listener not only to absorb the complexities of the sonic layers but also to consider their meaning. Why did Meltzer choose these forms, these instruments, these words? This is not arbitrarily-conceived music. Like Brahms, Meltzer has crafted an individual style not by rejecting the work of his artistic ancestors but by respecting, learning from, and continuing it. His is originality with purpose. Written in 2016 in memory of composer Steven Stucky (1949–2016), Meltzer’s Piano Quartet is a thought-provoking but never coldly academic piece in which novelty and nostalgia interact in a mesmerizingly intricate ballet. The spirit of Meltzer’s memorial to a fellow artist is anything but funereal: this music is a paean to living, remembering, carrying on, and moving forward. The adjectives combined by the composer with metronome markers in lieu of conventional verbal instructions of tempo and temperament—effervescent, ardent, ecstatic, eager, poignant, ebullient, contented, sparkling—are observed so meticulously by the Boston Chamber Music Society musicians—violinist Harumi Rhodes, violist Dimitri Murrath, cellist Raman Ramakrishnan and pianist Max Levinson—that an attentive listener might use precisely these words to describe the impact of this performance of the piece. 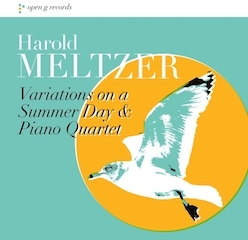 The through-composed structure of his quartet differs from the architecture of these earlier works, but Meltzer’s part writing fleetingly recalls both Brahms’s three piano quartets and Antonín Dvořák’s superb Opus 87 Piano Quartet. Notable for inspired use of pizzicato, the emotional epicenter of the American composer’s quartet is the “Dreamwaltz for Steve,” an episode further distinguished by kaleidoscopic intermingling of instrumental textures and timbres that amplify a faint echo of Beethoven. The instrumentalists are alert to the music’s subtleties, navigating the work’s expressive transformations with playing of unwavering technical mastery. This is a sophisticated performance of significant, splendidly-scored music. A setting of verses written by American poet Wallace Stevens (1879-1955), Meltzer’s Variations on a Summer Day discloses a rare affinity for perceiving the inherent song in words and fashioning music that manifests that song for performers and listeners. Stevens’s text is a stream-of-conscious meditation that is not unlike the mature work of writers as seemingly dissimilar as T. S. Eliot and Allen Ginsberg, the thoughts within his lines seeming to exist externally, free-standing concepts that are not reasoned but encountered like landmarks along a path. The poet blurred the distinctions between physical and metaphysical, and Meltzer embraces this ambiguity in writing that is at once earthly and ephemeral. Though their musical idioms are very different, there is a familial relationship between the narrator of Variations on a Summer Day and the nameless protagonist of Francis Poulenc’s La voix humaine. Like Poulenc’s incarnation of Jean Cocteau’s surrealistic drama, Variations on a Summer Day is an engrossing exchange with an unheard conversant. Mimicking nature’s cycles, the music imparts a sense of inevitability: rather than beginning and ending with contrived formality, the music rises to the surface for the duration of Variations on a Summer Day and then retreats into silence, waiting to be heard again. Under the direction of conductor Jayce Ogren, the musicians to whom performing Variations on a Summer Day for this recording was entrusted play Meltzer’s music with an abiding interpretive spontaneity, vividly limning the score’s tonal unpredictability. Flautists Tara O’Connor and Barry Crawford, clarinetists Alan Kay and Vicente Alexim, violinists Miranda Cuckson and Andrea Schultz, violist Daniel Panner, cellist Greg Hesselink, and pianist Margaret Kampmeier approach this music with obvious preparation, but their playing is appealingly free from artifice. [In the passages beginning with “Round and round goes the bell of the water” and “Low tide, flat water, sultry sun,” violinist Cyrus Beroukhim deputizes for Cuckson. That the substitution is indiscernible is a testament to both musicians’ artistic integrity.] Cleanness of execution of the music’s rhythmic transitions is critical to the effectiveness of Variations on a Summer Day, but clinical exactitude would deprive the piece of its improvisational fervor. Guided by the apparent thoroughness of Ogren’s acquaintance with the score’s challenges, this performance is precise without ever being perfunctory. It is often as an implicit euphemism for a less-flattering characterization that a singer is said to possess an unique voice, but soprano Abigail Fischer proves to be a peer of Bethany Beardslee, Cathy Berberian, and Jan DeGaetani as a singer with a wholly unique voice in the very best sense. A bright, forward placement of vowels and a flickering vibrato contribute to the fluidity of the soprano’s singing of both Meltzer’s music and Stevens’s words. Moreover, Fischer’s diction is little affected by notorious “opera singer English,” her enunciation refreshingly natural. The exhilaration generated by her voicing of “Say of the gulls” is tempered by the uneasy serenity of her declamation of “A music more than a breath.” Fischer commands the irregular emotional tides of the sequence encompassing “The rocks of the cliffs,” “Star over Monhegan” and “The leaves of the sea” like a sorceress, wielding the magic of Meltzer’s music with able, assured vocalism. A restless energy reminiscent of that found in Dylan Thomas’s poetry courses through “It is cold to be forever young,” its sparks igniting Meltzer’s ingenuity. The music here grows more intense, and Fischer and Ogren sharpen their focus on the composer’s aural imagery. Singer and musicians lend “One sparrow is worth a thousand gulls” a measure of lightness, and the accents of “An exercise in viewing the world” and “This cloudy world” are judiciously matched with the cadences of the words. Meltzer provides music of uncompromising directness for both “To change nature” and “Now, the timothy at Pemaquid,” and these performers give his lines readings of equal earnestness. Fischer sings “Everywhere the spruce trees bury soldiers” with particular eloquence, joining Meltzer in evincing the ambivalence of the text with touching simplicity. Emotional honesty is also the heart of Fischer’s account of “Cover the sea with the sand rose,” the vocal lines of which she sculpts with perfectly-balanced tenderness and toughness. “Words add to the senses” is an apposite artistic credo for both Meltzer and Wallace Stevens—and for this performance of Variations on a Summer Day. Too often, words seem to stand in the way of today’s composers’ efforts at creating memorable music, but Meltzer seizes the opportunities for sketching familiar but previously unseen vistas offered by Stevens’s words. A near-Baroque sensibility permeates “The last island” and “Round and round goes the bell of the water,” the composer identifying distant vestiges of John Donne in the text, and Fischer sings the music with appropriately ringing tone that would serve her as stylishly in music by Bach or Telemann. Meltzer’s final variations emphasize the parallels between Stevens’s words and the poetry of Emily Dickinson. Afforded a chance to demonstrate her dramatic instincts, Fischer sings “Pass through the door” with unaffected sincerity. Her vocalism is impressive throughout the performance, but she saves her best singing for the final three segments, launching the work’s quest for renewal with a searching traversal of “Low tide, flat water, sultry sun.” The strangely disquieting “One boy swims under a tub” and “You could almost see the brass on her gleaming” highlight the perpetuality of Variations on a Summer Day. Instead of proposing a resolution, they suggest an inexorable continuation of the voyage. Fischer, Ogren and their colleagues eschew ostentatious gestures in Variations’ final pages: their sounds cease, but the music does not end. In grasping at success that is increasingly difficult to define, today’s composers sometimes forget the ideal that should always be the objective of creativity. Scholars can debate whether originality is characterized by saying something entirely new or saying something that has been said before but differently, but the truest gauge of music’s success is its appeal to the listener. Sonic treatises on new ways of composing and performing music are valuable, but how often does one genuinely want to hear them? 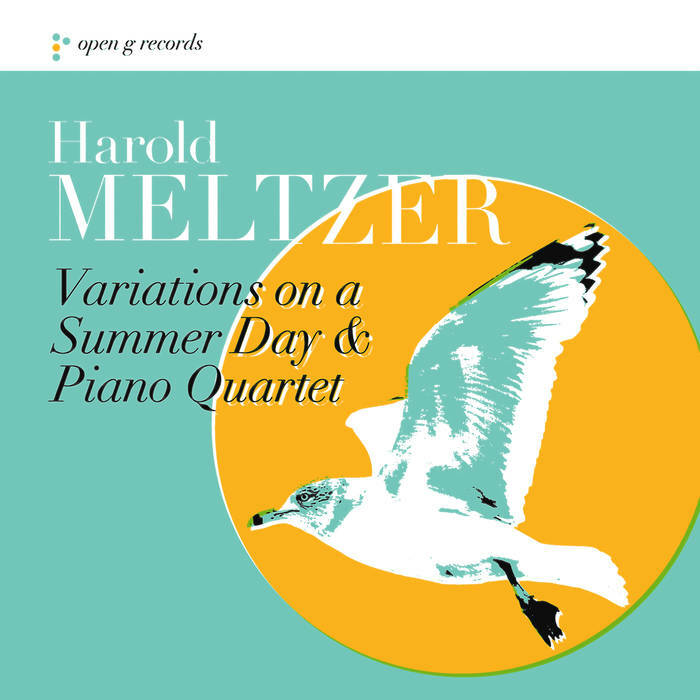 Harold Meltzer’s Piano Quartet and Variations on a Summer Day break new ground without subjecting the listener to gruesome noises of demolition. No idols of previous generations were smashed in the name of originality in the making of this music. Rather, this composer has molded contemporary music that is as pleasing as it is progressive. How original!